http://newiprogressive.com/images/stories/S5/aca-save-s5.jpg If successful, suit would jeopardize health care protections for 2.4 million Wisconsinites living with a pre-existing condition. 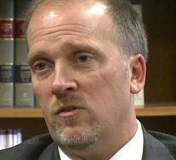 Schimel and Walker ensnared in lawsuit for potentially violating open records laws. MADISON - The Center for Media and Democracy has filed a lawsuit against Brad Schimel’s Department of Justice after Schimel refused to disclose emails and documents related to his department’s involvement in his and Scott Walker’s highly controversial lawsuit to repeal the Affordable Care Act. If successful, Schimel and Walker’s suit would jeopardize health care protections for 2.4 million Wisconsinites living with a pre-existing condition. “On Aug. 20, the DOJ identified 1,940 relevant emails, but denied CMD’s request outright by claiming it would be ‘excessively burdensome’ to review and redact them. 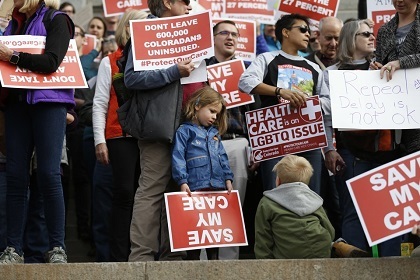 “Two of RAGA’s top donors, the billionaire Koch brothers, have spent hundreds of millions on the ACA repeal effort since the law was enacted. Koch Industries has contributed close to half a million to RAGA over the last year and a half and $10,000 directly to Schimel’s reelection campaign. RAGA, in turn, has pumped $44,000 into Schimel’s campaign.